Colorado Rocky Mountain Resorts offers affordable and luxurious vacation condominiums in beautiful Summit County, Colorado. In Breckenridge which is at the epicenter of world-famous Colorado skiing vacations and entertainment, you can choose from a wide selection of vacation condos of various sizes ranging from 1-6 bedrooms, many with direct ski-in ski-out to your favorite lifts. These condos are fully equipped for your convenience and relaxation. At Copper Mountain Resort you'll find some of the best opportunities to enjoy a vacation during all four seasons, with activities to enjoy the mountains and the resort. 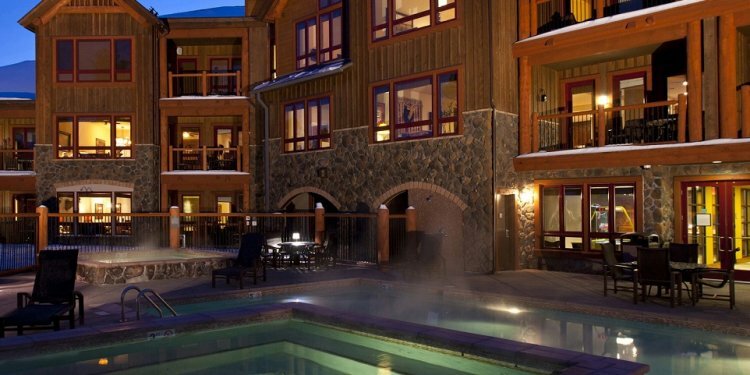 Our Copper Mountain vacation condos have very convenient ski-in ski-out opportunities. One Ski Hill Place & Gold Camp Condominiums. Fantastic ski-in ski-out access to the popular Peak 8 mountain. Direct ski-in ski-out access to Peak 9 mountain from the Quicksilver Super6 lift. Village at Breckenridge 4313 @ 535 South Park Avenue, Breckenridge, CO. Your vacation condo has easy access to the Snowflake Ski lift. Another selection of vacation condos with ski-in ski-out of the Super6 ski lift. The Super Bee ski lift is just over 100 yards from your vacation condo at Copper Springs Lodge.